When you finish off a roll of tape, don’t toss out that cardboard roll. 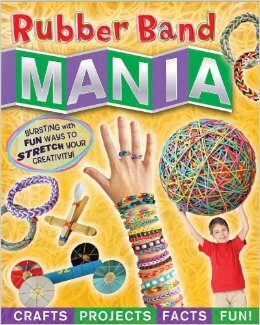 Instead, make fun bangles and cuff bracelets to wear to school or hanging out with your friends! Use craft knife to cut out a 3-inch section of the empty cardboard roll. Cover the cardboard cuff with duct tape. Use other colors of duct tape to decorate the cuff. 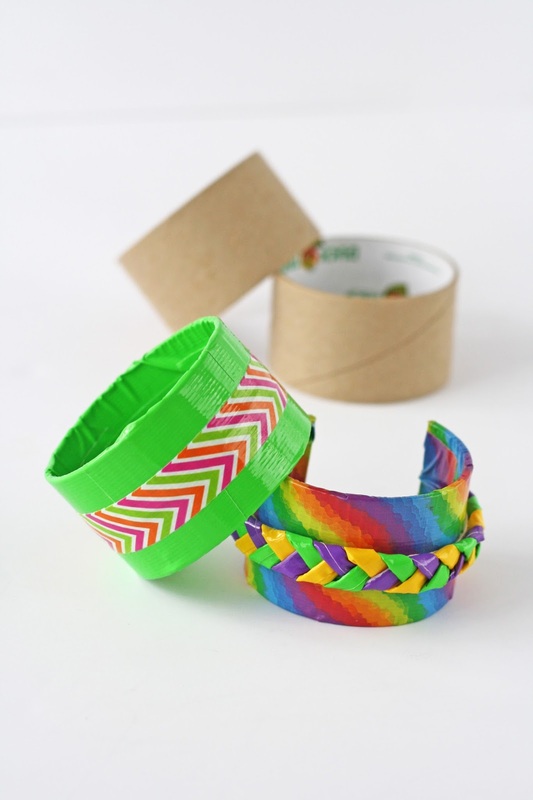 For a fun decoration, create a braid from three colors of duct tape. Cut a strip of tape the same length as the cuff and roll it up, sticky side out. 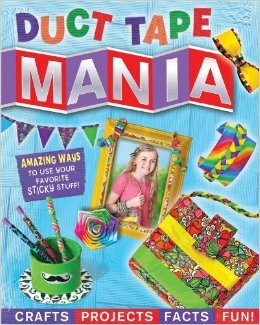 Stick it to the cuff then stick the braid to the sticky tape. Trim ends of braid and secure down to the ends of the cuff, using the same color tape as the base of the cuff bracelet. This is a gift that is sure to please, and it will give the kids something to do besides watch tv and play video games. If you are interessted in purchasing one or both, they are available on Amazon.